Showing results by author "Katherine Ludwig"
In nearly every industry, smart machines are replacing human labor. It's not just factory jobs - automated technologies are handling people's investments, diagnosing illnesses, and analyzing written documents. If we humans are going to endure, Edward Hess and Katherine Ludwig say we're going to need a dose of humility. We need to be humble enough to let go of the idea that "smart" means knowing the most, using that information quickest, and making the fewest mistakes. Smart machines will always be better than we are at those things. 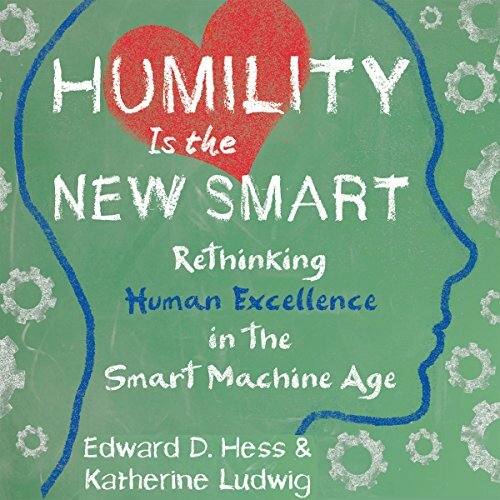 Less Smart Machine More HUMILITY Please! !